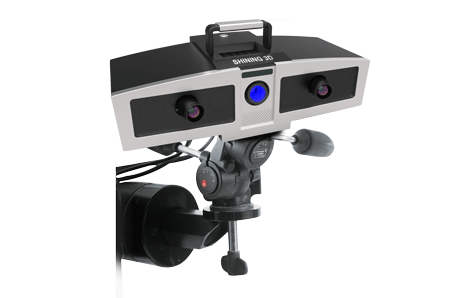 Shining3D Professional 3D scanners for high-end applications are available at Makerpoint. Contact us for more information and pricing. 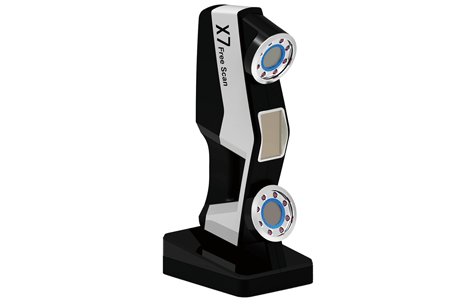 Shining3D offers a range of scanners for part inspection and quality control. These scanners offer high accuracy and high scanning speed and have a wide range of applications. The Metrology scanners are available in different sizes, and they are tailored for specific use cases. Together they cover a wide range of applications. 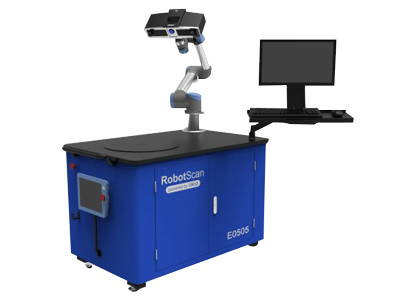 The RobotScan offers automated inspection scanning with very high accuracy all in one click. The output from the scan is a report that can be used to verify the quality of the part. The OptimScan scanners are the latest blue light scanners from Shinging3D. These compact scanners offer great scanning speed with high accuracy. This makes them suitable for numerous applications like model inspection and reverse engineering. The FreeScan scanners are highly portable handheld 3D scanners. Their size and weight make them suitable for a wide range of applications. The scanners feature both flexible and conventional scanning modes together with high accuracy and stability.